OKC.NET | Editorial: Ed Shadid Running for Mayor in 2014? Editorial: Ed Shadid Running for Mayor in 2014? Yesterday The Oklahoman reported on a leaked memo suggesting that Ward 2 Councilman Ed Shadid has set his sights on higher office. While Shadid did not dispute the authenticity of the memo, which calls on specialists in media, direct mail, polling, and other strategists for potential campaign support, he is hesitant to officially announce his candidacy. 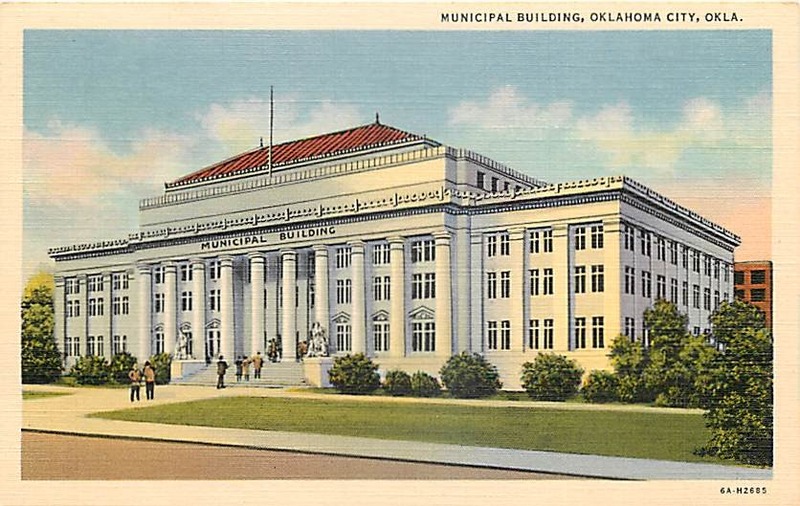 This morning Shadid said on his website that he was contacted by The Oklahoman to confirm his plans as outlined in the memo, and while it is obvious he would like to run for mayor, there are other factors to consider too. “It is no secret that I have been approached and have explored the possibility of trying to unite the people of OKC across the spectrum, rescue the MAPS program from a fatally flawed process, introduce honesty, transparency and public collaboration on an unprecedented scale, and add value to the city. Hundreds of people have indicated a desire to help on such a campaign. It would likely be difficult for a challenger to win a mayoral race against incumbent mayor Mick Cornett right now. Cornett enjoys broad support, owing not least to his public relations skills and the favorable economic and cultural forces we are currently experiencing. Furthermore, Cornett has built crucial alliances in the business community and with other community leaders over his two terms as mayor. A challenger would have a hard time building a similar network. Shadid, however, has been doing just that. He’s been the driving the force behind many town hall discussions. And he’s emerged as the most influential and outspoken city council member since he started his term. If there is going to be a credible challenger to Cornett, Shadid is the likeliest candidate. Recently he’s organized the Transportation Symposium to address flaws in the MAPS program and met with city leaders and residents at Beans and Leaves this past Tuesday to discuss revitalizing 39th Street. Contrary to the predictions that Shadid would be unable to work together with the other members of the council if elected, he has proven to be a conscientious and thoughtful leader, and a necessary check against the groupthink that has so often set the agenda of the council in the past. We do not dispute that Oklahoma City has gotten better under Mick Cornett’s watch. Cornett’s tenure has been a pleasant departure from the transparently partisan and divisive tenure of Kirk Humphries before him, and Cornett can rightly claim some credit for the improved image of our city in the national consciousness. At a time when Oklahoma City needed a cheerleader, the former sportscaster proved himself adept at rallying and uniting OKCitians to put on a happy face and get on the same team. It is our belief at OKC.NET that the city has since matured to a different stage. What we need now is not an enthusiastic civic booster, but a progressive and forward looking leader who will call people to task by closely examining city initiatives. Not because he wants to stall progress, but so these initiatives can better succeed in serving the interests of all citizens. For all of the notable and laudable advances we have made over the past decade, there is still fraying around the edges. We need to address the glaring holes in our infrastructure, especially transit. We need to work harder to spread the benefits of our “Renaissance” to all quarters of the city, not just the already prosperous northwest. Above all, we must chart a careful course that allows the city to benefit from the growth and prosperity of the powerful forces within it without being beholden to them. We will not presume to know what Councilman Shadid intends to do between now and the filing deadline. If, however, Shadid did choose to run, we would endorse him heartily. The Oklahoma City of 2004 needed someone like Mick Cornett. The Oklahoma City of 2014 needs someone like Ed Shadid. Tagged community, Councilman Ed Shadid, Councilman Shadid, Ed Shadid, Facebook, Kirk Humphries, MAPS, Mick Cornett, NET, OKC, Oklahoma City, Transportation Symposium, Twitter, video. Bookmark the permalink.